What Is an Android Photo Sphere? Android photo spheres are panoramic images that can be taken from some Android devices. 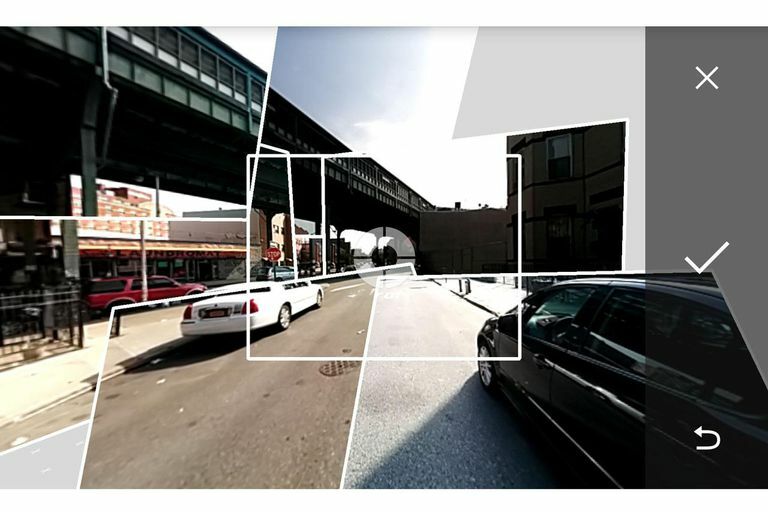 Built-in to the Camera app, this feature lets you take 360-degree images of anything around you, and even share it on Google Maps. The Android operating system began supporting photo sphere in Android 4.2 Jelly Bean, and the Nexus 4 was the first phone that shipped with photo sphere out of the box. Your device must have a gyro sensor in order for it to work. Using the photo sphere feature involves locating dots on the screen so that the camera can capture everything around you. Tap Photo Sphere from the menu. Locate the white dot on the screen and hold your camera there until it turns blue and the dot disappears. You might have to tilt the phone or tablet in every which way to see the blue dot. Move the camera to the next dot until it turns blue and disappears as well. Repeat this until you no longer see any white dots. real-estate agents showing off a room. detectives or other investigators capturing the dynamic of a crime scene. journalists capturing a scene for later reference. It may look odd taking pictures of people or other moving objects since the images won't be pieced together well. Landscapes and interior shots are your best bets. Keep one foot on the ground and circle around on that foot only, to avoid varying perspective shots. Have your phone remain directly above your foot while creating the photo sphere to ensure that it captures images fluidly throughout. Because they're not like regular images like JPGs that display on most web pages, you might have trouble viewing photo spheres on most devices. The image will most likely look long and flat, with wavy areas where it would normally bend if opened in a panoramic viewer. You can open the photo sphere in the Gallery app on your phone, upload it to Google Photos to view it there, and share it over Google+. If you open the photo sphere in the Gallery app on the device that took it, you can upload it to Google Maps and Google Street View straight from there by tapping the map icon (it might be in the share menu). Photo Sphere Viewer is a desktop program that supports viewing photo spheres. You can also view a photo sphere online via PhotosphereViewer.net or Sphcst.com. Photo sphere debuted in 2012, and since then, many different smartphone manufacturers have built or offered some sort of 360-degree photography app. For example, Samsung devices can install Surround shot from the camera app to take a 3D photo of any object. Because there's no standardized format for 360-degree photography, images taken by one device or app may not be fully interchangeable with any other device or app. Photo spheres — being a native Google offering — is compatible with the Google ecosystem but your mileage in other platforms may vary.